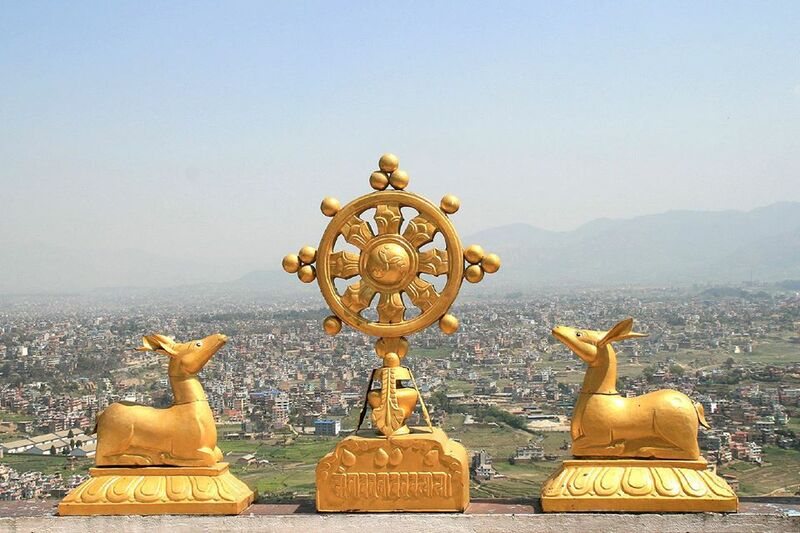 Nepal, being home to the majestic Himalayas, matchless natural and cultural diversity but also the land of divinely blessed sacred sites, Lumbini Birth Place of Lard Buddha, lands of Bodhisattvas (Buddhas) who meditated here and achieved enlightenment of Buddhahood. There are many places where Padmasambhava (Lit’ Lotus Born) also known as the Second Buddha and Jetsun Milarepa-generally considered one of Tibet´s most famous yogis and poets mediated in Nepal and gained top level of enlightenment. The country is the shelter for many spiritual teachers and Guru’s, this truly holy land is awash with spiritual treasures as well as awe inspiring natural beauty. Boudha Stupa (Kathmandu) - A most blessed place of peaceful and loving energy. Hundreds of thousands of visitors circumambulate this stupa each year to purify themselves towards enlightenment and Buddhahood. It is believed that we can gain purity and deeply healing energies to wash over us as we prepare for a vast array of spiritual and healing adventures throughout the country. Starting off in the areas surrounding the Kathmandu Valley, we will visit a wide range of different spiritual sites such as Swayambuanth, Boudhanath, Holy Buddhist monasteries and temples in Kapan, Namobuddha, Nagi Gompa, Pharping and Leaving Kathmandu now and we travel to the very sacred land of Lumbini - the birthplace of the Buddha. And it is here that we can allow the energy and the love of Lumbini to fill up and merge with our own energy field as we go about exploring through the many monasteries and ancient ruins within the region. As we were told by our spiritual guides when we were there on our pilgrimage "this is the birthplace of love" and it is here in this immense vibration that we will also be offering individual attunements to all who wish to receive them at the site of Maya Devi Temple. 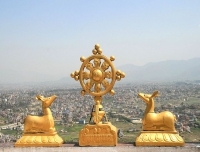 Lumbini-the Birth Place of Lord Buddha spanning through both city areas as well as in the surrounding rural areas. Having experienced many of these sites ourselves and through the assistance of local tour guides, our aim is to provide you with the opportunity to visit these sacred places and to absorb their true meaning whilst allowing plenty of time for exploration and self reflection. Thrangu Tashi Yangtse Monastery in Namo Buddha - Enjoy the peace and bliss of this sacred land surrounded by views of the mountain scenery. As we go onwards on our tour, we will experience the delights of Pokhara, famous for its amazing views of the Annapurna range and for the peaceful and loving Phewa Lake. Our time here allows us to take in the sights, take some time to do some shopping or perhaps spoil ourselves with a massage or some yoga classes. There is something for everyone in Pokhara, including paragliding, visiting the mountain museum, receiving a massage, shopping etc. so we have some time here to enjoy and relax in this beautiful location. We will also visit the Peace Pagoda, famous for its sweeping views over the mountains and we will enjoy a truly unforgettable sunrise at Sarangkot, a place where you can really feel the healing power and the enormity of the majestic Himalayas right there in front of us. From our own healing experiences, it has become clear that to be closer to the mountains provides us with very good healing opportunities as we are cleansed from within - another great reason why being so close to the Himalayan range will help us at this stage of the tour. View of Mt. Machhapuchhre (6993m) and the surrounding range from FewabLake. 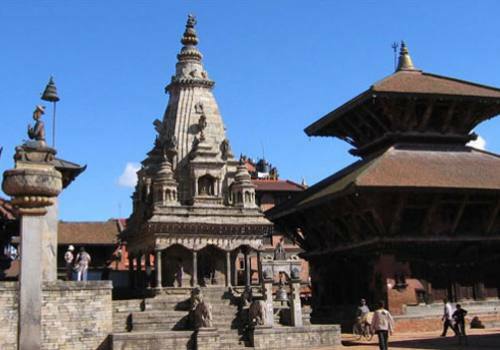 Day 01:Welcome to Kathmandu, introductions and pick you from airport then transfer to hotel in Kathmandu. Welcome drink and a short brief about the trip. 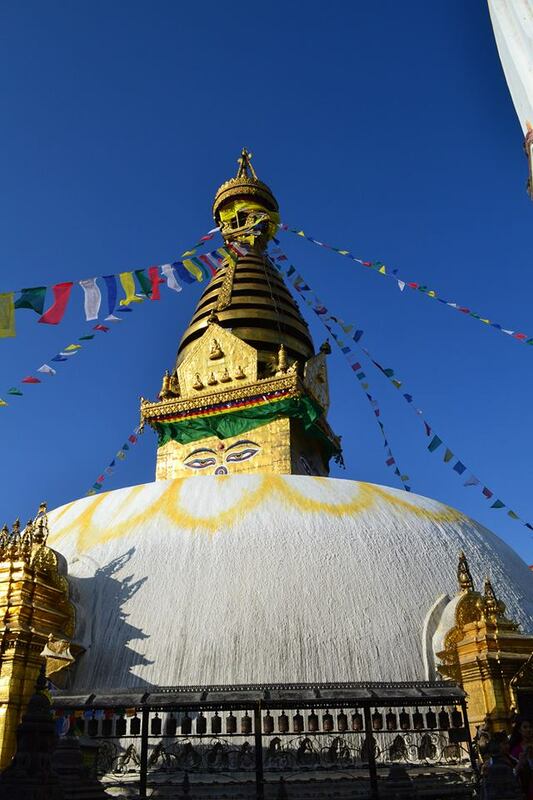 Day 02:Visit to Bouddhanath including the main stupa and to the monasteries which surround this most sacred area. Be one of the thousands who circumbulate the stupa with the idea of becoming enlightened to benefit all beings and see the monks as they go about their daily practices in Boudhanath. Then our tour leader introduces in the Kopan Monastery. Stay overnight in Hotel. Day 03:Visit to Namo Buddha, the famous Buddhist Pilgrimage site where The Lord Buddha sacrificed his body to hungry Tigress and its Cubs eons ago. We can visit the Monasteries and surroundings holy site then drive back to Dhulikhel or Nagarkot by private vehicle (if you are interested we can stay overnight in the monastery lodge in Namo Buddha, eat and drink with the monks). Stay overnight in Hotel. From a Dhulikhel or Nagarkot from viewing point by opening up to receive what these mountains have to offer us we can be cleansed and nourished on our pathway forwards to Pharping where Guru Rimpoche (Padmashambhava, known a the Lotus Born Buddha) meditated and whilst driving back to Kathmandu we visit 2000 years old Swayambhunath stupa. Stay overnight in Hotel. The Sacred land and ‘The Birth Place of Lord Buddha’ the holy site of His Holiness Maha Sambodhi Dharma Sangha, famously known as the ‘Buddha Boy’ deeply loving vibration of Buddhism. Let us hear about the amazing stories of this most blessed Guru and the idea of us moving towards a Golden Age. Day 06:Visit to Maya Devi Temple to see the actual birthplace of Sakyamuni Buddha. Here we will also be offering attunements as this is such a significant spiritual site! We will also visit some of the closer monasteries around Maya Devi Temple as we meander and move through this deeply sacred land. Overnight in Hotel. 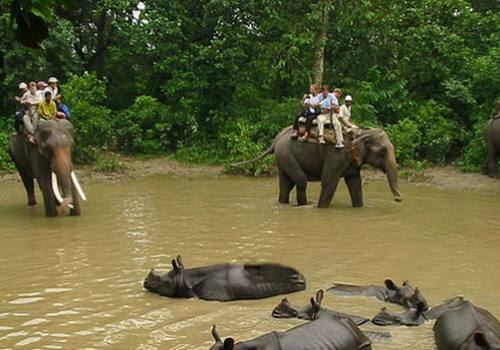 Day 08:Drive to Pokhara from Lumbini through the hills and great landscape scenery. We will be staying in one of the finest hotel in Pokhara. Overnight in Hotel. Day 09:This is a free and relaxing day to enjoy the many options available in Pokhara. Pokhara is famous for its leisurely lakeside, blessed with natural beauty offers breathtaking Himalayan panorama in the north and beautiful lakes in the city. Its many shops, boutiques, cafes, restaurants, bars and natural beauty make this a truly wonderful place to enjoy a wide range of energies and activities. Overnight in Hotel. Day 10:Drive to Sarangkot where we sleep at the altitude of 1,500m high from sea level. Beautiful views from Sarankot are: beautiful nightlight over Pokhara, amazing sunrise view, Annapurna Himalayan scenery which is 55km long massive includes 13 peak above 7000m and other 16 additional peaks over 6000m that includes Annapurna I (8091m), Dhaulagiri (8167m). There may be a bit of a climb up the stairs but the views are definitely worth it! And we visit Davis Falls, Gupteswhor Cave, Seti Gorge etc. Day 12:Drive to Kathmandu which some 200km and takes about 6-7 hours by Toursit coach. We can enjoy the beautiful terraced rice-fields, and full mountain view of Annapurna Range, Manaslu, Ganesh Himal whilst driving way back to Kathmandu. Overnight in Hotel. Day 14:Last hours shopping in main tourist hub of Thamel for dear ones back home. We will be finishing the tour with a nice evening together to say farewell. Day 15:Fly back to home land. We will drop you off to the airport and wish you a safe journey back home and wish to see you again. Airport-Hotel-Airport pick up and transfer by car/an. 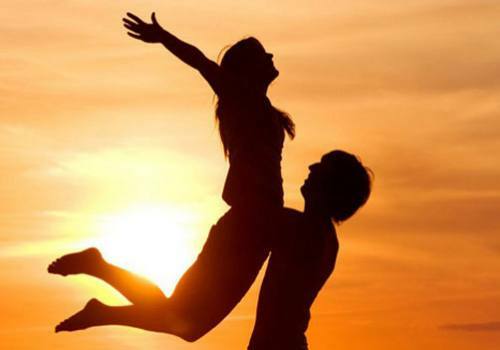 14 nights room in budget – deluxe hotel during the trip on Bed and Breakfast basis. All ground transportation by private car or van depending on group size. Professional Tour Guide as per the above itinerary. Kathmandu Pokhara by tourist coach. All the World Heritage Sites Entrance Fees. Tourist service charge, vat and office service charge etc. Any meals other than breakfast. Rescue operation in case of emergency. Tips for guide, bell boy and driver.